Order here and Send cash to school music teacher to complete order. Course Description: This class is part of a 7 year sequence (K-6) of music instruction designed to teach effective musical skills to children. It is structured so that their experience with music is a knowledgeable one with heightened capabilities to listen, sing, play, move to, write, and create music with a sense of joy and well-being as individuals and as secure participants and contributors to the group experience. This class focuses predominately on the development of musical skills through vocal music experiences, classroom instruments and the use of technology. Perform folk tunes, rhymes, and singing games utilizing words and neutral syllables, sign-language, and limited sight-reading. Recognize, read and perform single and multiple part rhythmic activities, canons and ostinati to include 2-meter music, bar lines, ties, and the following note and rest values: half, quarter, eighth, and sixteenth. Sing Learn songs, chants, rhythmic and melodic echoes using stick notation, staff placement and sign-language to include the writing of 4 beat melody fragments. Improvise melodies and rhythms using know melodic syllables to include the completion of missing parts. Sing and perform in multiple parts use ostinato, canon, echo games, dialogue songs, alternate singing, singing with beat, rhythm and ostinato alternately and simultaneously. Write rhythmic and melodic patterns with mapping, write rhythmic patterns from dictation. Listen to music from a variety of sources to recognize identify orchestra instruments, dynamic levels, dictation skills, and classmates's voices. 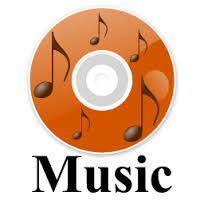 Perform and recognize aural and written songs of same, similar and different phrases. Improvise answers to teacher given questions. Incorporate repeat signs. Move to and express from to the music in singing games, rhythm activities, simple dances and musical conducting. Use and identify classroom instruments to be used in demonstration and accompaniment of musical dictation, ostinati, dictation and sight-reading. 4th grade students are playing soprano recorder during their music class. Recorders and music is provided by East Jackson Elementary, however, if you would like to provide an individual recorder for your student, one can be purchased by E.J. Music Booster through Mrs. Miller before school everyday or locally at Playford Music Company, 1718 West Morrell Street, Jackson, Michigan, 517-788-7441 or on their webpage: http://www.playford-music.com. 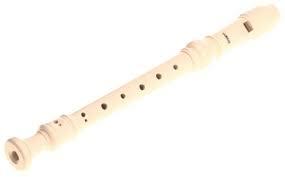 Students are to have their recorder in class every music day.